GENEVA, Switzerland - July 10, 2018 - PRLog -- The International Hospital Federation (IHF) announced the 27 finalists in the four categories of the 2018 IHF Awards which honors innovations and outstanding achievements in the healthcare industry. The IHF awards program received a record number of 160 entries from 118 organizations in 33 countries for the IHF / Dr Kwang Tae Kim Grand Award and Excellence Awards in Leadership and Management in Healthcare, Quality & Safety and Patient-centered Care, and Corporate Social Responsibility. After an extensive review by the panel of judges composed of health leaders from around the globe, 27 top entries from the four categories have been selected as finalists from which the Gold, Silver, Bronze and Merit Awards will be chosen. "With the number of entries vying for the IHF Awards this year, the judges had a very difficult time evaluating. I am happy and delighted to see that all 160 submitted entries are of high standards aiming at improving many different aspects of health care and service delivery," said Dr Lawrence Lai, Chair of the IHF Awards Committee. "For the finalists this year, I am proud to say that their projects or programs are indeed most outstanding and impressive." 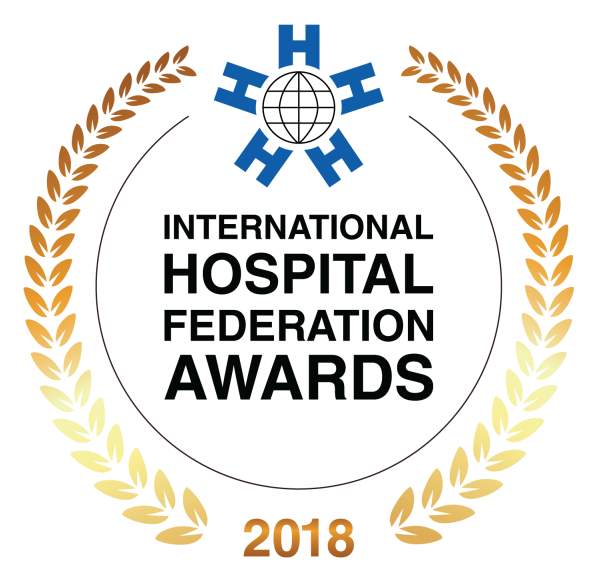 IHF has been recognizing innovation, excellence, outstanding achievements and best practices of hospitals and healthcare organizations since 2015 when the Awards was first presented in Chicago, USA. This year's winners will be awarded in front of industry peers on 10 October 2018 during the 42nd World Hospital Congress at the Brisbane Convention and Exhibition Centre in Australia. Gold Winners will be invited to speak at a special session during the World Hospital Congress to share their winning programs and projects while Silver, Bronze Winners and Merit Awardees will be displaying posters at the Congress exhibition.